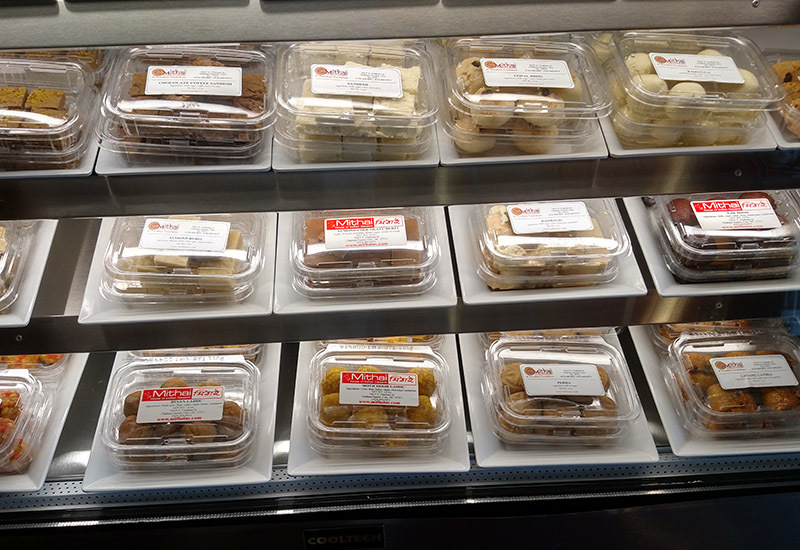 Cary, NC – For people with specific dietary needs, it can be difficult finding stores that cater to their needs, especially when it comes to dessert. But at Mithai Indian Café in Cary, traditional Indian recipes help make the desserts as clean and natural as possible. 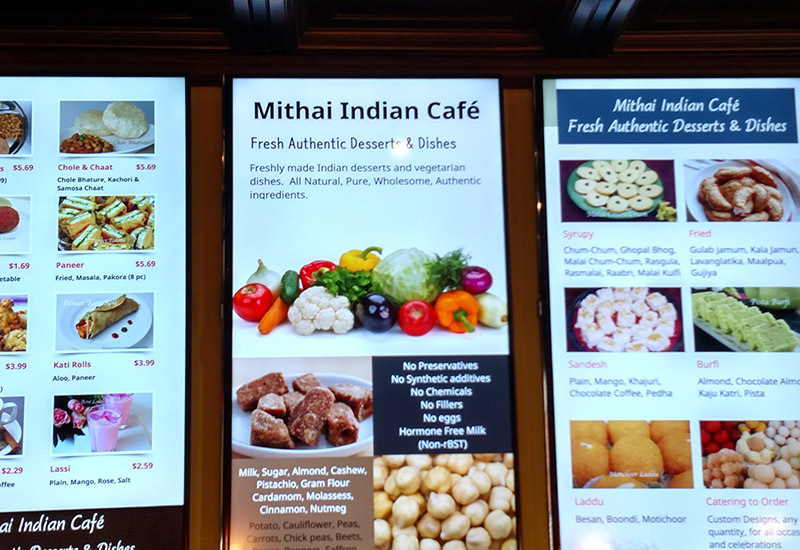 Mithai Indian Café is a dessert bar in Chatham Square that sells a variety of Indian snacks and desserts. While the store has been in Cary for about 10 years, it’s undergone a series of changes in the past year with new owners Davina Ray and her husband Craig Wishart. 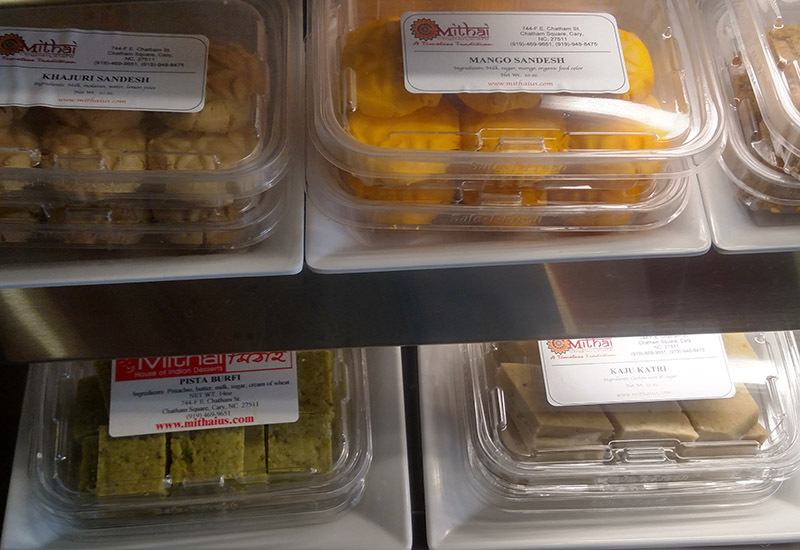 As part of their goal for the store, Ray said she wants to establish Mithai as the first and only store in North Carolina selling authentic, fresh Indian desserts, using traditional recipes and including common Indian tastes such as cardamom. 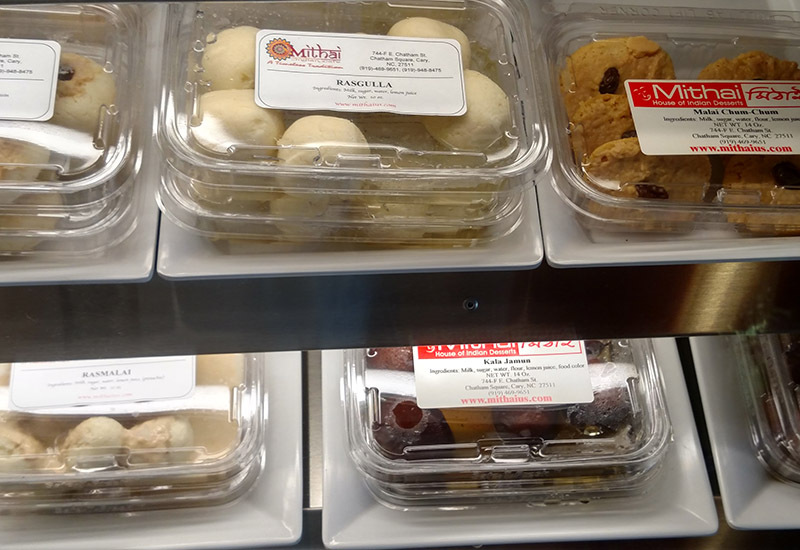 Another goal of Mithai, coming off of Ray’s background in health, is to make dessert that is as healthy as possible and free of many components that would prevent some customers from eating them. Ray said the emphasis on not using eggs or animal fat in her desserts reflects Indian cuisine, as it’s more common in India to have food that is vegetarian, though not necessarily vegan. “These are very old, traditional recipes. A lot of Indian housewives will know them,” Ray said. 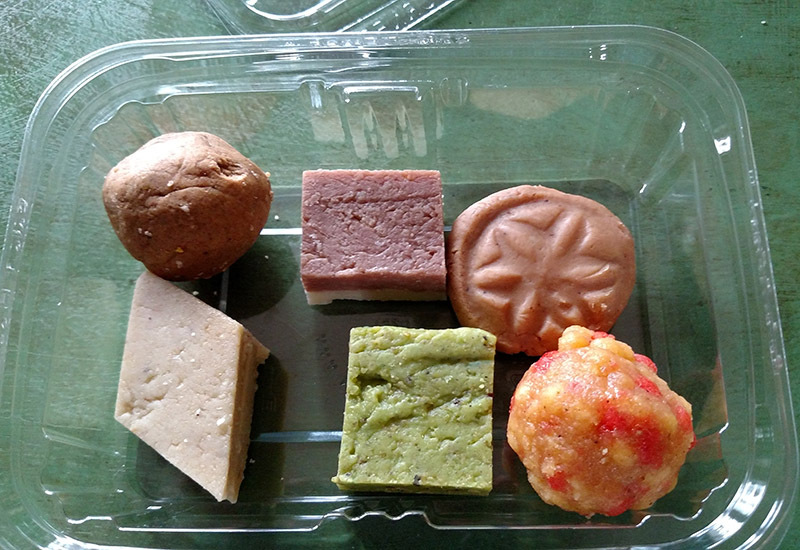 Mithai does have vegan options but it also carries a number of “milk sweets,” common in Eastern India. One dessert, rasgulla, takes boiled milk, rolled into a ball and then boiled in a sugar syrup. “Milk is boiled at high temperatures and then it can be manipulated and we can add lemon or other tastes,” Ray said. For milk, Ray said they use dairy farmers from near Greensboro with hormone-free cows. In fact, Mithai uses local ingredients and buys from farmers markets for the majority of its products, although for foods such as pistachios they have to use outside sources since pistachios don’t grow in North Carolina. Mithai has also partnered with Raleigh business Larry’s Coffee while also selling chai drinks using authentic spices from India. Overall, Mithai avoids additives such as preservatives, colorings and other fillers and chemicals, which Ray said helps them stand out even among many nationwide Indian dessert producers. And for customers with particular dietary restrictions, Ray said they use Indian culinary traditions to get around them. “A lot of Indian sweets use ground flour from chick peas instead of wheat so there’s no gluten,” she said. As Ray put it, the desserts at Mithai can be broken up by nut-based, milk-based or grain-based so there are appeals to different food groups and people who need to avoid certain ingredients can make an informed decision. “And there is some creativity to coming up with new combinations for different recipes and ingredients,” she said. Mithai Indian Café is located at 744-F E Chatham St. in Cary.